In this day and age, smartphones have a lot of features that make them interesting to us. While the first smartphones ever were called like that just because they had a touch screen, and then later on an operating system, these devices have come a long way since. Still, what we sometimes appreciate most about them is what we’ve always loved to see on phones. We’re talking about the cameras, of course. We today just love taking pictures of everything. We take pictures of our food, our pets, our house, landscapes. We also love taking pictures of ourselves so much we invented a new name for them. But we sometimes forget that we don’t have to spend too much money on a phone for it to have a good camera. Today we will compare the Xiaomi Redmi Note 3 and Huawei’s new Honor 5C in terms of camera only to see which one can deliver the best pics. Keep reading if you want to know as well. The quality of an image taken with the photo camera of a smartphone depends on many factors and settings, but the megapixel count is the very first one that catches attention. In this department, the Xiaomi Redmi Note 3 seems to excel at first glance with its 16MP main camera. The Honor 5C on the other hand has a more modest 13MP main camera on its rear, but it has a lot more settings to tune up the image just how you like it, so at the end of the day it takes the better photos. And when we talk about selfies, the Xiaomi Redmi Note 3 is at a loss with its modest 5MP front camera. Needless to say, selfie lovers will be disappointed by this. The Honor 5C on the other hand is a selfie addict’s dream with its amazing 8MP front camera with a wide angle lens and f/2.0 apperture. Let’s face it, we always use third party apps to edit our photos. In fact, one of the most popular photography-focused social media networks, namely Instagram, has an editing tool inbuilt inside the app, and now Facebook is experimenting with that as well. Still, having good photo editing tools and features on your phone’s camera out of the box can sometimes make all the difference. The Honor 5C has amazing tools and features that allow you to fine tune any image to perfection, as we previously mentioned. 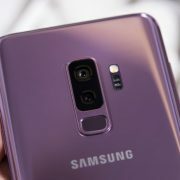 It has filters such as night mode or food photo mode, and it also has a pro mode that allows users to access features such as shutter speed, focus, white balance, ISO and exposure, just as one would one a stand-alone camera. At the beginning of this article, no one would have expected for the cheaper phone to also be the better one. But the Honor 5C is much more robust when it comes to taking and editing photos, and that’s a fact. Proof can be found in its features and specs. Unfortunately, even though the Xiaomi Redmi Note 3 has the much better rear camera in terms of megapixel count, it ultimately fails to deliver an impressive photographic experience to its users. So if you’re an amateur photographer, or even a pro one looking for a good phone to take candid shots and Instagram your daily adventures with more ease, have a look at the Honor 5C. Don’t let the Xiaomi Redmi Note 3 lure you in with its appealing higher megapixel count, because it just doesn’t put it to good use.